DSA Cardington Special Driving test Class “A” award holder. DSA ORDIT (Oficial Register of Driving Instructor Trainers) first achieved 2004. Registered NVQ Assessor in Driving Instruction. Originally trained as a precision engineer and spent twenty years in that field. He had for a long time wanted to train as a Driving Instructor but had never made the transition. In the early 90’s, redundancy struck and Brett took the opportunity to train with a major instructor training college, which started his career as a Driving instructor. Having qualified as a Driving Standards Agency Approved Driving Instructor, Brett worked initially with the BSM. After some time, he started his own School of Motoring. Some years later, he was invited to apply for the prestigeous position as a Driving Instructor Trainer at the College where he had originally trained. For roughly two years Brett trained Potential Driving Instructors as part of a 6 man team. Brett was quickly promoted to take over all classroom training, as well as in-car training. 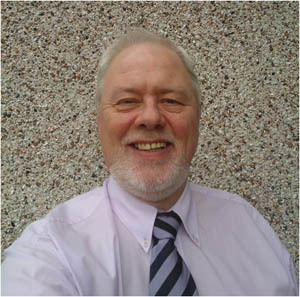 When the College Training Manager retired, Brett was further promoted to that position and ran both the Glasgow and Edinburgh Colleges. As well as running the teams, which also included training any new staff members, his role was to ensure that the quality of the training was of a consistently high standard. As time elapsed, Brett became the Area Training Manager for Aberdeen, Inverness, Dundee, Glasgow, Edinburgh, Newcastle and latterly, Northern Ireland as well. When all of the Colleges in Britain were closed (The Company had been taken over and the business changed), Brett seized the opportunity tobecome an integral staff member at Really Good Driving School on the recommendation of one our other Driving Instructors who had originally been trained by Brett.